And thanks for visiting. 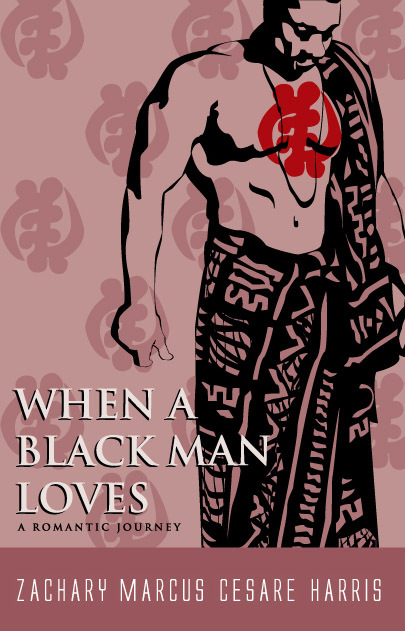 It has been almost eleven years since I first printed and released the original version of When a Black Man Loves and after seeing and reading so much via a combination of social media, television, and other forms of entertainment, I decided that it was time to add more to the book and release the updated version in ebook format. Yes, it has been a long time since promoting and selling the original in venues up and down the east coast including the Harlem Book Fair. This time around, I will not only be releasing an updated copy of the book, but also: presenting the documentary online for free; keeping a Facebook page devoted to the book; putting together a contest based around the first piece that was written; possibly filming an updated documentary; and soon, hosting a series on Youtube. Through the website and the Facebook page, I will also be writing and publishing articles, and I might also open it up for others to post some of their writings as well. I have multiple goals with this venture, the first being to sell books, but also to start some better dialogue on the issues of Black men and love. This is also not a book purely looking at the concepts of Black men with Black women, as I have dated and/or had "relations" with women who aren't Black, but it doesn't through Black women under the bus (you'd be surprised at some of the things I have heard from men over the years who really just have a non-realized self-hate ingrained/indoctrinated into them). One thing is for certain, and that is this book will make some women feel empowered and proud. It will make some women look more deeply at the man they are with, at the men that might be interested in them, and at the man whom they might have passed by on. It will make you think of past relationships, whether good or bad, and maybe what you would be looking forward to in your next romance. Is this book only for Black people? I am so glad that you asked this question, and the answer is a resounding no. While this book is written by a Black man and many of the pieces written were "inspired" by several Black women, not all of the pieces within were/are inspired by Black women. One of the first people to help with book sales was Latina and the first customer I had when selling the book at the "Sister's" Expo in 2002 was a white woman. One order came from a white woman in Belgian and my buddy in Austria said that I should have the book translated into several other languages. I am sure that there are plenty of non-Black men who have been in the same situations that I have written about, or had some of the same feelings, and since there are a lot of women out there who have dealt with men, regardless of their skin color, they might like it as well. At the worst, you might have something new and interesting to discuss with a Black friend, versus the same old crap about what you see on scripted reality shows that really just make Black people look bad or worse. Can a Black man love? Yes, that answer is very easy. However, I think with all the crap in American society right now and that has been for the past several hundred years, Black men are wont to keep up certain stereotypes and not reveal their feelings all the time. Sometimes, we miss out on a good thing because we wanted to act like something that we really weren't to begin with. Some men want to act so hard, or try to be a player. I think that many women would have no problem dating someone like Andre 3000 (of Outkast), Musiq Soulchild, D'Angelo, Raheem DeVaughn, Prince or Maxwell versus some of the other male African American artists that we have had that over the past twenty years whose style, swagger and lyrics say anything but sensitivity, tenderness and love. Do Black men love differently? This is a hard question, and I would in general say that after what Black people have been through in this country, and still go through, that it would be somewhat different. That said, I would then say that it also depends on world view and the upbringing of the individual in question; this would be a/the cultural differentiation aspect. What is it like when a black man loves? That's a hard question and involves buying me several bottles of wine, listening to some good music and discussing the many aspects of it for hours. I would also selectively include some women whom I have dealt with over the years, but definitely not all of them!